Cheap post-Christmas shopping in the informal economy. Photo by Eric Jackson. 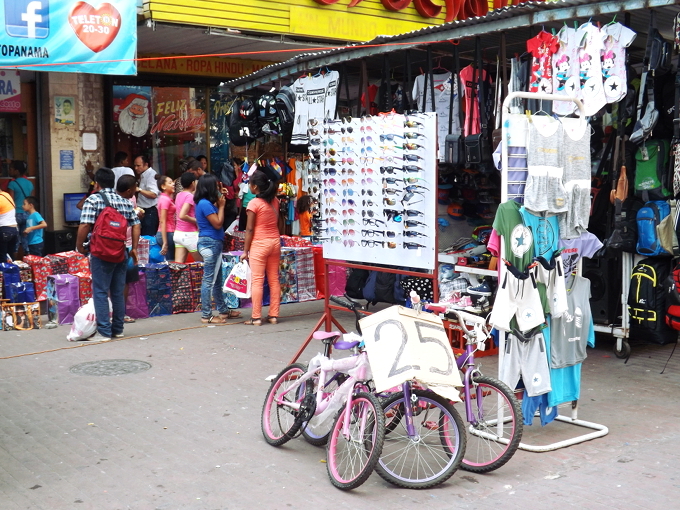 The pedestrian mall part of Panama City’s Avenida Central, which climbs the hill from Plaza Cinco de Mayo into Santa Ana, has long been the headquarters of the local informal economy. Many sorts of goods and services are and have been available from the micro-capitalists who work there. Many of the store owners object, usually citing unfair competition or obstructed visibility of or entry into their businesses. But this is Panama, the trading emporium at the Crossroads of the world. Getting something to sell and hawking it on the street is not only a way of life, it creates an important part of the market for more established businesses. 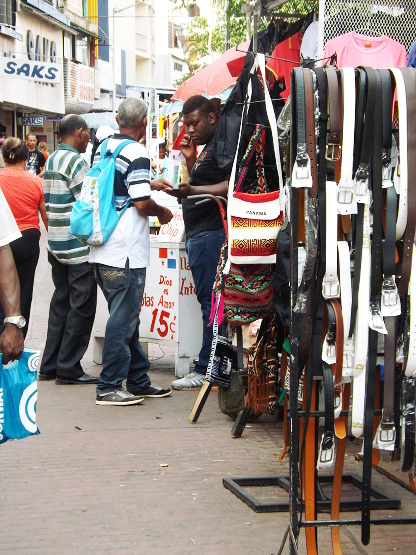 Swings between toleration and repression of street vendors on Avenida Central are also a Panamanian tradition. That so many of the vendors are foreigners whom laws exclude from retail businesses and that so much of their merchandise is pirate stuff bearing counterfeited trademarks are frequently cited motives for crackdowns. 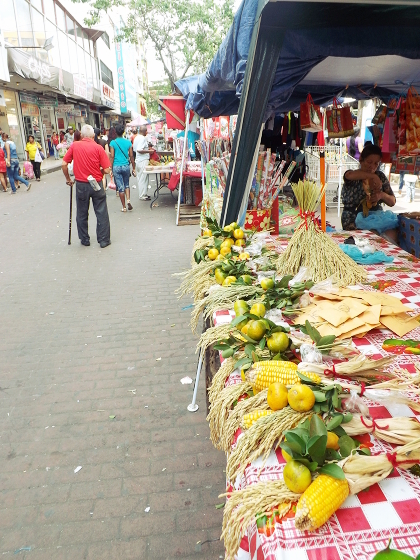 This holiday season brought a lot more informal vendors to the Peatonal than usual, and Mayor José Isabel Blandón says that in January he will kick most of them out. There are a few handicrafts among the knockoffs. Regardless of what Blandón allows, the season naturally ends. Previous articleHarrington, ¿Y si no es El Niño?